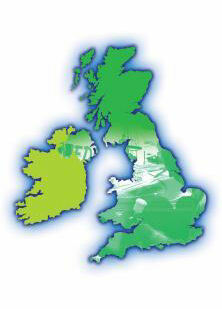 Join the the UK’s ONLY Caravan Cosmetic Repair Franchise. See our current Franchise Package Offers. Caravan Medic take the body shop to the customer. keep your caravan looking like new! our repair system is EXCLUSIVE to us – no-one else can offer this service! Damage to motorhomes and caravans is unfortunately a frequent occurrence – and can be very costly. Unbelievably, it has been impossible to repair most cosmetic damage that caravans suffer from without replacing entire panels – UNTIL NOW! The Caravan Medic has developed a unique repair system that has been rigorously tested and is now available to the UK market! The system performs smart repairs to many areas of a caravan, restoring them to near perfect condition – even replicating textured panels – a process so advanced that it already has insurance company and manufacturer approval. And what’s more, we’ll bring the bodyshop to you! © Yorkshire Franchise Management Ltd 2019. Registered in England No. 10123809. All Rights Reserved.